Disgaea isn’t a household name in the States, or even in Japan. While the mainstream has ignored it, there’s a dedicated group of people who are wildly passionate for the wacky over-the-top series. Strategy RPGs as a whole are pretty niche; minus Final Fantasy Tactics and Fire Emblem, the Disgaea games really are not talked about out in the mainstream comparatively. The stories told in the series are inherently not meant to be serious, but are played and acted as such. 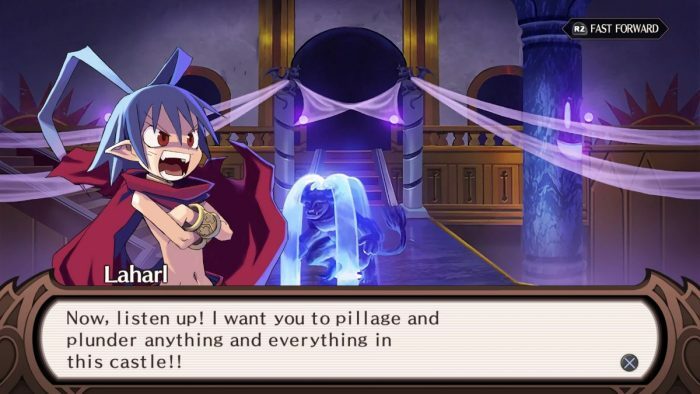 In Disgaea 1, you assume the role of Laharl who, upon taking an accidental nap for two years, awakes to a world in which his dad has been killed and the kingdom that he was supposed to take over is in ruins. The main themes that run through the game are of over-indulgence and ego, but in a good way. Every character is a dramatic over-the-top archetype and seeing them bounce off of each other and taking everything far too passionately is a part of the charm, and also just half of what the series has to offer. Thematically and narratively, everything feeds into the gameplay. For example: Your max level is 9999 and you can hit characters for 10 million damage. The idea of abundance, an endless grind, many levels, maps and mechanics to master and hundreds of hours invested is what this series is known for. 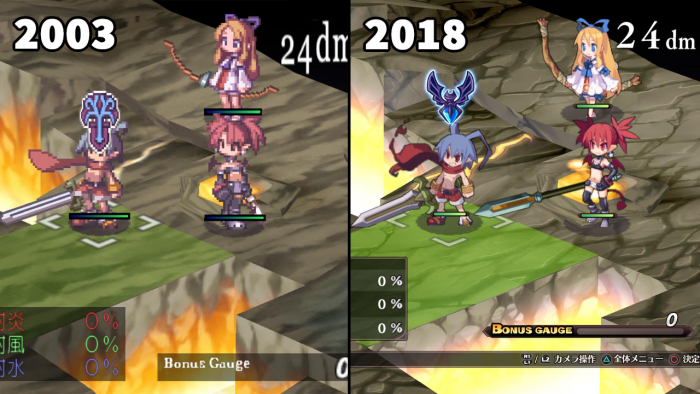 Disgaea 1 Complete is the exact same game that was released fifteen years ago, but with a fresh coat of paint. 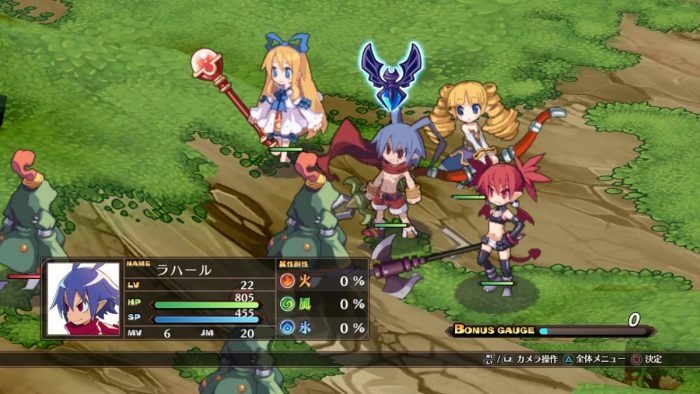 Each character has a new sprite in the style of the latest Disgaea game, Disgaea 5. The whole package is meant to feel fresh to a newcomer to the series, but to recommend this game to anyone new comes with a huge caveat. While the nostalgia made me laugh and smile, the actual experience left me wanting something more modern, and drove me almost to a point of anger. There was a lot of opportunity to update this classic SRPG and properly retell the origin of this series, but Nippon Ichi Software went for the easiest route imaginable: repackage an old game for a premium price. If you’re on the fence about the series, this is not the place to start. If you’re a fan and a collector you might be happy to own this game again, even if, like myself, it leaves you feeling a little bitter.